Faulty car or truck brakes are dangerous. Not just for you, but for others on the road too. It is not a surprise that a car moving on a high speed, with damaged brakes is headed for fatal consequences. To avoid such circumstances, it always makes sense to keep your car’s or truck’s brakes are in excellent condition. In case your brakes are making noise, or if the brake pedal seems too soft or hard to push, it is time to get your brake inspected by All Brands Auto. Wear and tear can gradually deteriorate brakes. As a vehicle owner, it is necessary to take your vehicle to a quality brake repair shop in Mesa for brake repair. 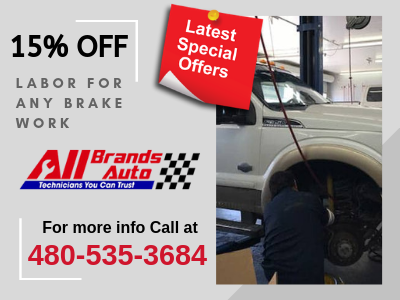 As brakes are the most important component of your car that ensures your safety, it is essential to keep them maintained by taking your vehicle to skilled car repair mechanics. 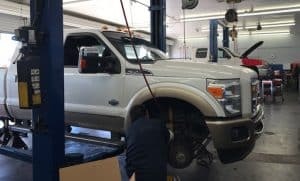 At All Brands Auto, we have a team of well trained brake mechanics to repair brakes and who can ensure that your vehicle runs excellently, (at a cost you can handle), the next time it hits the road. Visit All Brands Auto and avoid the hazardous effects of malfunctioned brakes. We may be a bit difficult to get to, but we promise that you will be COMPLETELY satisfied with our brake repair service! Please contact us now(480) 962-6117 to schedule an appointment!